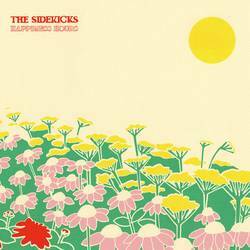 The Sidekicks are a band that I still pay attention to past my “punk only years”—you know, the years of my youth when only punk music and anything within that sub-genre mattered to me. I know, how naive. But it was also naive of me to brush off The Sidekicks as just another sub-par punk band. Throughout the years I find them more refined than ever with Happiness Hours summing up everything I adore about them. From their Midwestern charm to their unmatched energy, Happiness Hours is literally what it feels like listening to this record. The album kicks off with “Other People’s Pets,” a pretty cheery, sunny-sounding song. And for such a short song, the band really manages to hit a range of emotions and sounds which is a highly impressive feat. “Mix for Rainy Day,” as the title suggest, has a subdued charm allowing vocalist Steve Ciolek’s falsetto to shine through effortlessly. Standout track “Twin’s Twist” is mellow, but still upbeat with catchy melodies and lyrics. It’s a song that really only The Sidekicks could pull off—they have both the range vocally and musically to create this pop, indie, punkish, whatever you want to call it atmosphere that invites everyone to enjoy their music. Take a song like “Win Affection,” which is musically pushing the band’s boundaries with added horns and an offbeat melody that (I’ll be damned) sound perfect together. The Sidekicks aren’t afraid to try new things, which really works for them because there’s this sense of light, freshness Happiness Hours brings that I’ve not heard from the band before, yet still completely fits their personalities. I love the softness “A Short Dance” brings as an almost intro to “Don’t Feel Like Dancing,” which is my favorite song on the album. The guitars are dreamy in perfect alignment with the nostalgic energy the song exudes—it’s a song that’s pure magic to me. “Weed Tent” sounds like the most upbeat punk anthem I’ve ever heard because, despite the sunny melody, The Sidekicks have this depth in their lyrics and vocals that you won’t find in bubblegum pop music. I like the dreamy appeal of both “Summer and the Magic Trick” and “Serpent in a Sun Drought,” with the latter creating an interesting dynamic between slowing down and speeding up the music throughout the song. The intro-esque song “Elegy for Tm” is reminiscent of “A Short Dance,” and despite both songs clocking in at less than a minute each, I actually like the dynamics the songs add to the overall album. What’s interesting is that previously I’d expect a song like “Medium in the Middle” to be the closing track—it’s catchy, lyrically thought-out, musically ranges from high to low. But what closes the record is the somber, self-reflective title track “Happiness Hours” that really sums up the entire journey of the record for me. Posted Jan. 21, 2019, 10:07 p.m.
Posted Feb. 20, 2017, 10:13 a.m.
Posted Sept. 9, 2014, 12:27 a.m.
Posted June 8, 2014, 8:27 p.m.